BMW 2 Series coupe (petrol auto). Can get X-Drive now second hand. Most sensible of the lot on that it is practical and not too big. BMW 6 series coupe. The heart car. Lovely shape and interior and different. No doubt costly to run and second-hand prices are still quite high at £25k-£27k. 2010 Porsche Cayman PDK: again a heart car and I’ve never owned Porsche so it would be nice. Mileage 50k, but from a Porsche franchise at £25k. Not practical, but stands out. 2014 Mercedes C220d auto coupe AMG and fully loaded with every possible extra. Mercedes franchise: £20k. A lot of car for money but concerned it will have a hard ride and why they don't hold their value? What is quality like on Mercedes? Which would be the best option. Also what is the best way to sell my BMW Z4 23 sDrive privately? It's only done 26k miles and has FBMWSH. Weird mixture. A Cayman is a purist’s sports car. Rock hard suspension and relatively irritating and unpleasant to drive slowly. Only buy if you will be taking it on occasional track days, which your other choice of a Mercedes c220d coupe indicates you won't be. The Merc should only be bought as an SE on sensible 17-inch wheels because it's a comfort coupe, not a sports car, but a 4-cylinder diesel engine in a coupe marks you out as a penny pinching status seeker. 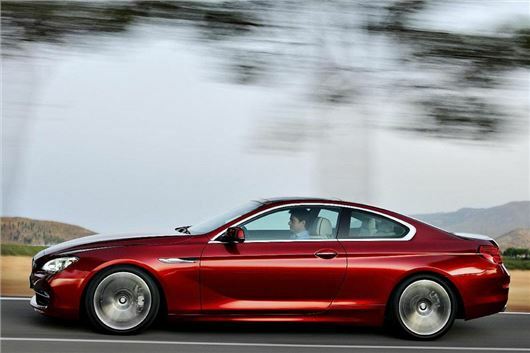 6-Series coupe, up to you. Just be aware of ride quality issues on big wheels and low profile tyres and the colossal cost of replacing tyres. The 2 Series Coupe is probably best as a 225i or 228i and xDrive an advantage for winter but don't go for bigger than 17-inch wheels or lower than 50 profile tyres. The easiest way to offload your Z4 is webuyanycar.com, but if the 2-Series or 6-Series was coming from a BMW dealer the dealer might give you c good price for your Z4. My sister recently changed her 21,000-mile Renault Clio, of which she has had several, for another make, as the garage is just down the road from her house. Apart from the fact that it was an 80,000 mile car, which at 87 years old she was a bit confused about, thinking it was an 8,000 mile car, after less than 1,000 miles the clutch failed. On inspection, the garage said it was fair wear and tear, and would not pay for it. In this week’s CARS page 5 it stated that "The dealer is legally responsible for six months for any fault that could have been present or developing on the date of sale." Would you say that this would be the case here? I am not mentioning the car manufacturer because I am negotiating with them. They are being sympathetic and I am asking for your help to just ascertain the facts. The car manufacturer is not responsible for clutch failure on an 80k mile car or for the behaviour of its franchised dealers. But the dealer who sold the car to your sister might be, if there is any possibility that the fault with the clutch pre-existed her purchase of the car. Law here: /faq/consumer-rights/ However, it’s a little strange that a franchised dealer would be selling a used car with 80,000 miles on it. These usually go into the trade via auction. I have a 2005 Volvo V50 2.0D Euro IV with a full service history: cambelt changed a year ago and 64,000 on the clock. Unfortunately I have had a problem, which has been happening over the last couple of months. When I will go to pull away the car will just refuse to rev at all, almost as if the accelerator pedal isn't working. If I wait for a few minutes trying to rev it or putting it in gear to try and get itself going it does on most occasions finally rev. Today it happened again with 'catching’ being accompanied by a short lived cloud of diesel smoke out of the exhaust, after which the car ran perfectly for the 40 mile drive I then made. It's been to my local independent garage twice to try and rectify the problem. The first time the diagnostics indicated that it was a problem with the accelerator sensor, so both that and the fuel filter were changed, albeit with the comment that if that didn't fix it then it could be an injector issue, although it had been OK in their test drive apart from a brief hiccup. I drove it home, 2 miles, parked it and the next day on starting it I reversed out of my space, put the car into first and the revs died away again to idle. I returned the car to the garage who said after a few days that they had then either cleaned or replaced an injector, however it has happened twice more since over a three weeks and 300 mile period. So do you have any ideas on what it could be and is driving me mad and also i am losing confidence in a car which I have enjoyed driving in the 11 years since I purchased it from new. As you know, this is a Ford engine and the mysterious issues with it have often been cured by separating the various multipin connectors, drying them out, checking all the pins are in place and reconnecting. I recently parked at Lidl in Clapham and have done this many times. Whilst in the shop I have always typed my registration number into the machine to show that I have shopped there. On this occasion I parked at the Lidl store before opening time, so was unable to enter details. I left 25 minutes later. There is no other way of purchasing a ticket: no ticket machine nor mobile payment. I wrote to Athena ANPR and they informed me that I was unsuccessful on my appeal. Do I still have to pay the ticket? I have shopped at this store 200 times and always registered my car. In a word, yes. Affirmed in the Supreme Court in November 2015. You parked on their property so you have to obey their rules. I am currently looking to replace my wife's manual 2007 Toyota Yaris 1.3 with an automatic, which I feel would suit her better. An amount of £10k-12k is what I am looking to spend on what would presumably be a second-hand vehicle. I know that she would prefer a 5-door version, with air conditioning. Not being an authority on cars is why I am contacting you for your informed advice. Ideas that have crossed my mind are:- Ford Fiesta, Honda Jazz, Vauxhall Astra, or Another Yaris. I should be extremely grateful for your comments on the above, or indeed any other suggestions that you might have. My wife's current 1 owner car has 46,000 miles on the clock from new. Would you have any idea what it might be worth? I am not sure whether you can deal with both the buying and selling, but any help would be appreciated. Her 2007 Yaris is worth about £1,920 in p/x ; about £2,500 as a private sale (/used-prices/Toyota/Yaris/2007/?q=1.3_) A Ford Fiesta Powershift is great to drive but has had trouble with the Powershift dry clutch packs. A Honda Jazz 1.4 CVT-7 is hugely versatile and practical inside. Not great to drive but very reliable. A Vauxhall Astra is mainstream and a bit bigger. The automatic is a 6-speed torque converter. Best with the 1.4T 140 engine. Yaris automatics are now all CVT and have lost their character compared to the Mk 1 and Mk II. Of the four, I'd go for the Jazz. I actually own one with a bigger engine and a different autobox in Thailand and that has done more than 100,000km. The Vauxhall Cavaliers and Vectras that I've run for years are a bit too big for me now. I am 81. I have test driven both the Toyota Auris and the Ford Focus and the ride suits my old bones rather than the Vauxhalls. I would buy the estate / tourer version for the larger boot-space and one to two years old would suit the budget. For safety reasons I feel that I should at last opt for Automatic and the Hybrid version of the Auris would fit that bill. I have been advised to go for the Focus 1.5 EcoBoost engine but am not sure whether the Automatic is a bit of compromise and not too reliable. My mileage is about 4,000 a year; mostly local short journeys. I would appreciate any comments / suggestions that you might have to guide my final choice. The Focus 1.5 EcoBoost now has a 6-speed torque converter automatic transmission, not a Powershift, so should be okay. But my 91 year old dad has a 2010 Auris HSD hybrid and is very happy with it. Tyre choice is important. It works better on 17-inch tyres but the ride is harsher than on 15-inch wheels so better to go for the 15s. I currently run a VW Transporter TDI 180 DSG 9-seater Shuttle as a family wagon. It has been brilliantly versatile, good to drive and almost faultless. I only do about 12,000 a year in it (low for this type of vehicle). It is now on about 50,000 and I have had the engine oil and filter changed every 10,000 miles. I am wondering whether I should buy it out at the end of the lease and run it longer, or hand it back and start again? I am mindful of bad reports for this engine (injector leaking and wearing the bores) and DSG problems (though I've had neither), and wonder if I might be letting myself in for future unreliability if I were to buy it? (Before this I ran a less complex 2.5 5-cylinder Transporter to 130,000 trouble-free miles). The only intermittent fault is a noise that sounds as if the starter motor is engaging when the engine is already running. If I were to replace it, the new Peugeot/Citroen/Toyota vans look quite appealing. My wife is insisting that any replacement be of similar proportions to the VW. Your advice/thoughts would be welcomed. In November 2014 I bought a 2011 Renault Laguna 3, plus 24 months service and MoT. The mileage was 88,519. The car was serviced and MoTd at 101,216 miles. Just before the final service with a mileage of 112,500 the rear brakes started to make a noise and the aluminium wheel were showing a rusted glow. On inspection I found that the brake pads were full worn and the discs were badly scarred. The garage accepted no responsibility at all to the condition of the rear brakes. I challenged the garage that the second service should have highlighted a potential situation that the pads would require replacing prior to the next service but all to no avail. They said that the engineer would have measured the pads at the time and he assessed that there would not be a problem. There was no note on the service report. Surely the brake pads should last the period between services? At the end of the day they replaced both rear discs and pads at a cost to me of £175. I think the garage’s response was unacceptable but can I take any action against them? The company advertises that it is a member of Motor Codes. Rear discs tend to rust and the ridged surface that results in can damage pads disproportionately. The car had done more than 11,000 miles between its previous service and the service when it needed new discs. It would probably have needed new discs anyway at that sort of age. And £175 for rear discs and pads was a very reasonable charge. You'd pay that for pads alone at some garages. My 2009 BMW 525d Estate had an electrical meltdown, and was quoted as needing a £10k+ repair (see attached). I have tried to email BMW but got no response. Questions: 1. Is there an independant specialist who could repair this for a reasonable sum? 2. Is there any mileage in continuing to contact BMW? 3. If it is a write off, is there a buyer for these types of thing apart from scrap value?